Size: The Intertwined circles are hand-made with Sterling Silver, their size is 1/2" ... 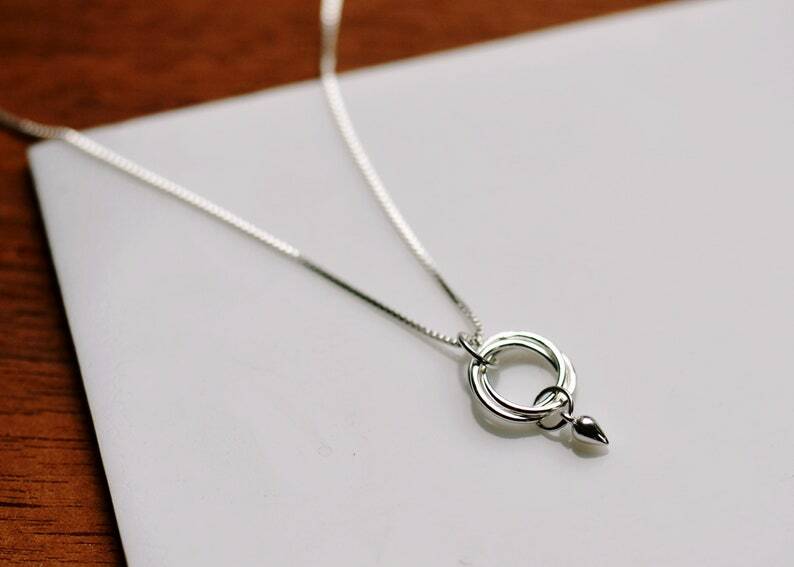 The silver teardrop attached to the necklace is also pure sterling silver. Chain: The necklace chain is pure sterling silver, a high quality chain! Length is 18", If you PREFER a 20" chain, let me know in "Notes to Seller" at CHECKOUT, Price will remain the same! !